Recently, an MSU basketball player who transferred to Michigan from West Virginia was suspended from the team indefinitely after being arrested for DUI. According to the Lansing State Journal, 21-year-old Eron Harris, originally from Indianapolis, is facing charges of refusing a preliminary breath test and OWI (operating while intoxicated). Harris’s suspension stems from an incident on July 1 when he was arrested at just before 2 a.m. after playing with the team at Lansing’s Moneyball Pro-Am summer league. His arraignment is scheduled for July 17. Harris is a junior guard on the team, and sat out last season after transferring from West Virginia to MSU. In a statement Tom Izzo, MSU coach said Harris had been suspended from all activities related to basketball indefinitely, and that the university holds its student-athletes to high standards. Izzo went on to say that Eron must face the consequences of the legal system for his actions, and that his decisions that morning were unacceptable and irresponsible. If convicted, Harris could face fines of up to $500 and a maximum of 93 days in jail. News reports state the charge is a misdemeanor. Harris’s driver’s license will likely be suspended as well. While news reports do not indicate whether it is Harris’s first DUI offense, there are other penalties those found guilty may also face, including community service and completion of a court approved alcohol education program. Offenders will also have a criminal record, which could impact employment and other aspects of their lives. As you can see from the story above, these types of charges can have serious implications. 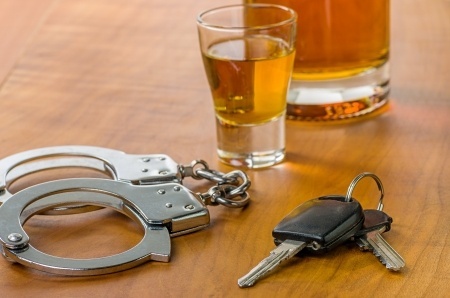 It is possible to fight charges of driving under the influence so that you have a clean record and avoid serious penalties, however you must choose an experienced and aggressive Michigan DUI attorney to ensure the best possible results.